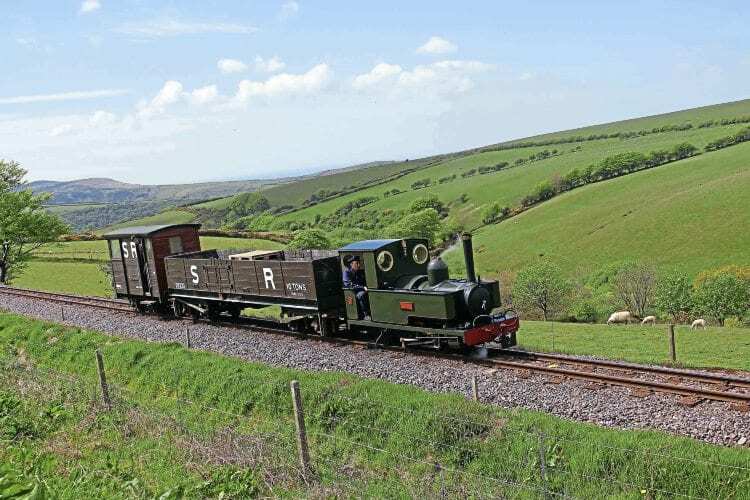 LYNTON & Barnstaple Railway’s (L&BR) May 13-14 Spring Gala featured Bagnall 0-4-2T 3023/1953 Isaac, Kerr, Stuart 0-6-0T Axe and John Uphill’s 0-4-2T Faith from the Gartell Light Railway, in steam. Axe and Faith alternated hauling ‘freight’ trains between passenger services handled by Isaac. Resident Bagnall 4-4-0T Charles Wytock is currently out of service, dismantled for boiler repairs. Baguley-Drewry 0-6-0DM 2393/1952 Pilton was displayed at Woody Bay in grey undercoat. This loco was built to work on sugar cane lines in Queensland, Australia and donated to the Illawarra Light Railway Museum Society, New South Wales in 1993. It was bought by L&BR Trust and repatriated in 2001. Rebuilding has seen a new Cummins engine replacing the original Gardner 8LW power unit and alterations to the bodywork including lowering the height of the cab roof. It has been a lengthy process and included a period at Statfold Barn. Pilton can run under its own power although further work is needed, and application of final livery, before it enters service as a workhorse for an extended L&BR.